Following our recent increase in the development activities, we are happy to introduce a yet another addition to IdeaStream family. 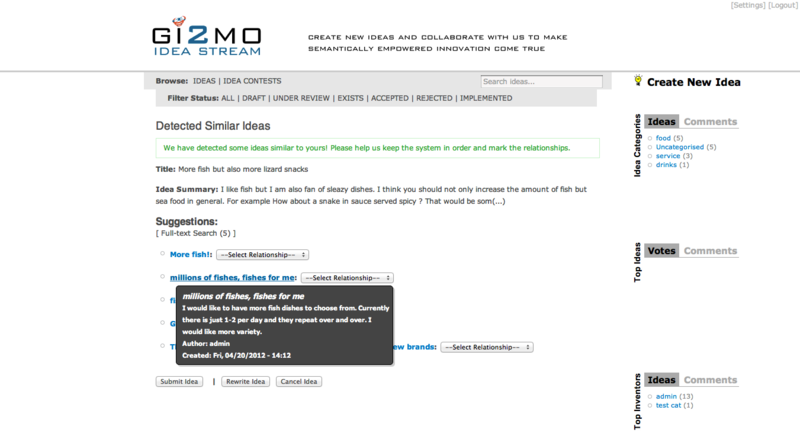 The IdeaStream Similarity module allows to connect ideas with a number of different relationships. 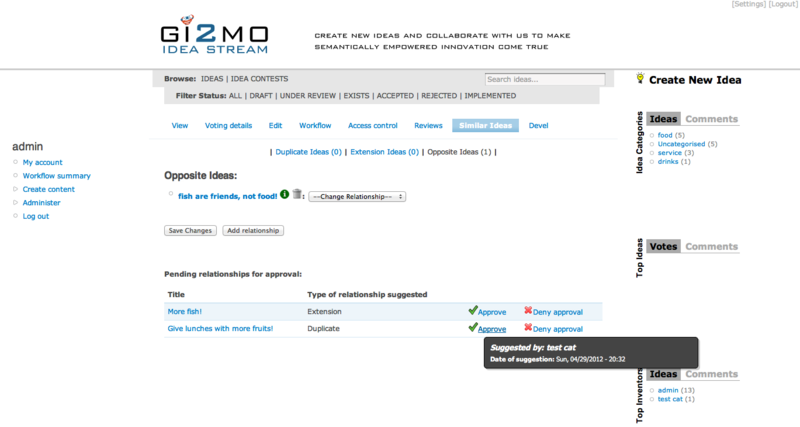 In particular, the module adds a new functionality that activates after the idea submission and allows the innovator to mark duplicates to his idea or any other relationships that he finds suitable. 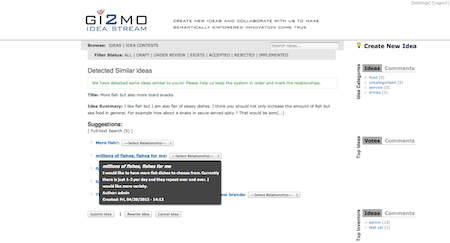 At the moment the module suggests similarities based on full text keyword search of idea descriptions and their titles. On top of the above, we included a functionality where the administrator can approve or reject the suggestions of innovators (or optionally set all to be automatically approved without any moderation activities). Just like the Recommendation module, the IdeaStream Similarity is a border-line case between research prototype and production ready component so we distribute it separately until it gets fully tested. The credits for developing the module go to Javier Espinosa Garcia. If you would like to try it out be sure to update your IdeaStream base modules to v1.5.3a for a full experience and next head over to dedicated IdeaStream Similarity Gi2MO Apps page to read all about new features and download the module.